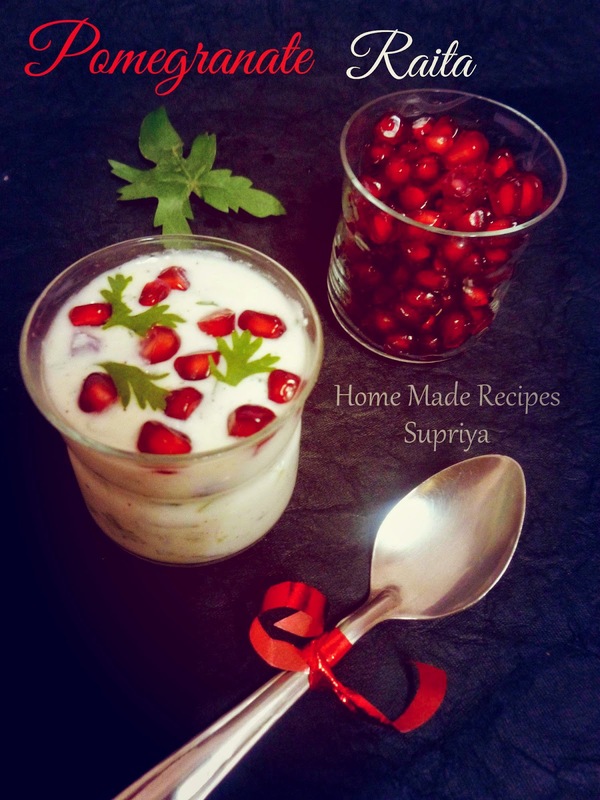 Pomegranate Raita is one of my favorite raita. I just love the colour. 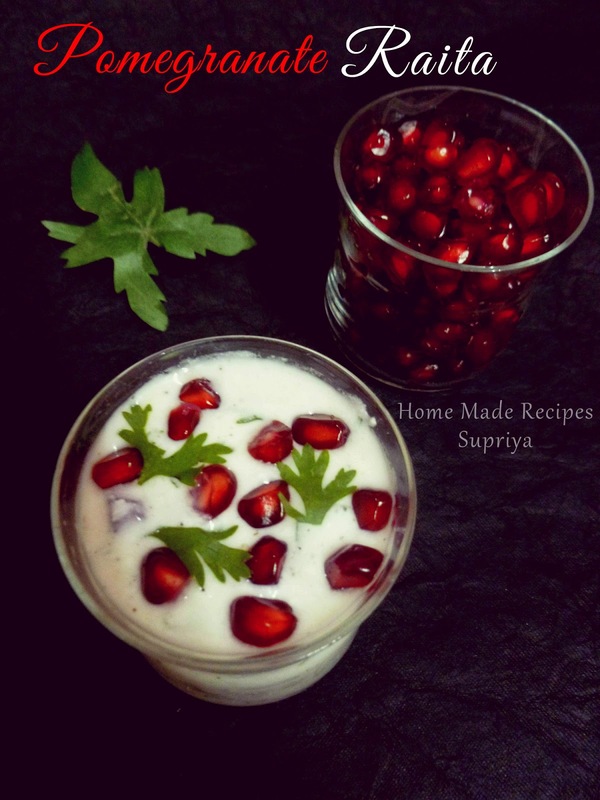 Red seeds with white yogurt...hmmm..lovely! My son had to prepare a dish at his school regarding "Cooking without FIRE". He had to carry all the ingredients in a separate box and just mix it in front of the teacher and serve. Cool! Isn't it ? I didn't want him to carry too many boxes, so I made him to do this raita. After the trial round at home, I got to click some pictures. It's really fun to cook with kids. He enjoys decorating or garnishing the dish. So coming back to the recipe, this dish is any eye catchy on a dinner table. I like to keep it simple or say more simple. I have tried the raita with chopped cucumber and onions too before. You too can add those if you like, but in this dish I have skipped those and included just pomegranate seeds, yogurt and some spice powders. Serve it with any pulao or biryani. 1. Whisk yogurt in a bowl. 2. Add in all the ingredients to the yogurt and mix. Save some pomegranate seeds for garnishing. 3. Garnish with some pomegranate seeds and freshly chopped Coriander leaves.